“King Piye of Dynasty XXV, also known variously as Py, Piankhy and Piankh, reigned in Nubia for about 31 years between 747 and 716BC. He was the son of King Kashta and Pebatma, and married his sister, Peksater, and four other wives. Towards the end of the 8th Century BC, Egypt had grown so fragmented that the rulers at Napata (the capital of Nubia) sought to assert some control over it. 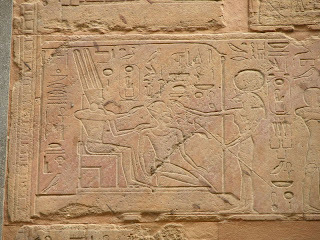 In about 727, Piankhy began the absorption of Egypt. At that time, Tefnakhte, a ruler of various nomes in the western delta, advanced southward with a large army. Piankhy responded by marching his troops northward and defeated the Egyptians. 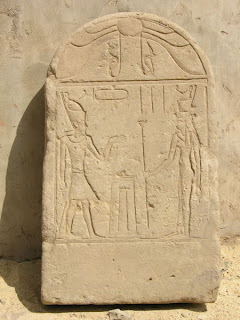 Piye’s Victory Stela, a large, round-topped stela of grey granite, was discovered in 1862 in the ruins of the temple of Amun at Nepata at the foot of Gebel Barkal. This New Kingdom temple was much enlarged by Piankhy. The Kushites did not view themselves as foreign invaders, but as restorers of order, reuniting the Two Lands in the names of the Egypytian gods. 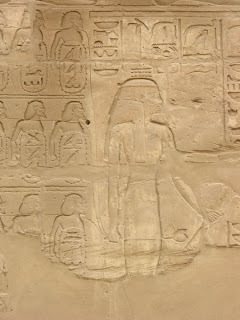 Piye ruled Egypt from the city of Napata. It is thought that Piye continued to reign as King of Upper Egypt for about 30 years, and that he never returned north to Egypt. Piye was buried in a pyramid at el-Kurru near Gebel Barkal, a site that would come to be occupied by the tombs of several later members of the dynasty. Dynasty XXV is known as the Nubian or Kushite dynasty, and comprised five rulers. The fourth of these was Taharqa. 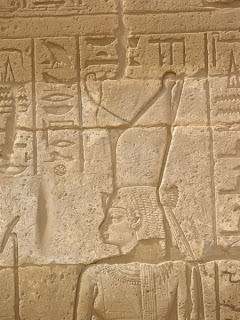 Taharqa’s (also spelled Tirhakah, Taharka, Manetho’s Tarakos) reign can be dated from 690 BC to 664 BC. 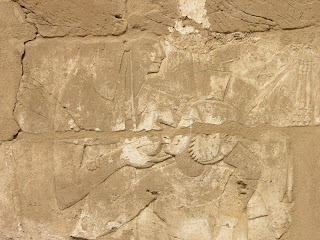 At the age of sixteen, he led the Egyptian armiy against the invading Assyrians in defence of his ally, Israel. Scholars have identified him with Tirhakah, king of Ethiopia, who waged war against Sennacherib during the reign of King Hezekiah of Judah (2 Kings 19:9; Isaiah 37:9). In ca. 677 BC, the Assyrians, led by King Esarhaddon, attacked Egypt’s eastern frontier near Sile with the intent of invasion aimed to pacify Arab tribes around the Dead Sea. Here they were defeated by the army of Taharqa. Three years later, in 674 BC, they attacked again. This time they defeated Taharqa and captured Memphis. 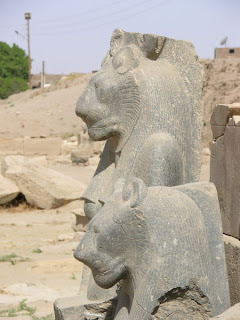 While Taharqa withdrew southward, probably to Nubia, the Assyrians seized the entire royal court, including the queen and the heir apparent to the throne, and transported them as captives to Nineveh. It is thought that Taharqa died in 664 BC and was buried in his pyramid at Nuri near Napata. 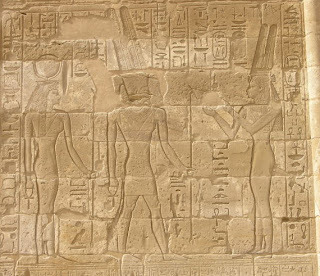 He was a prolific builder in Memphis and Thebes, especially at the Temple of Amun at Karnak. He also rebuilt or erected anew temples and shrines throughout Nubia. 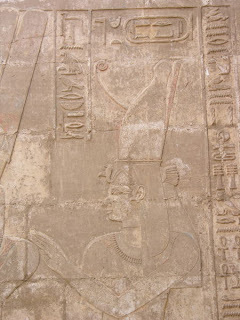 Upon his death, Taharqa was succeeded by his nephew, Tanwetamani (ca. 664 BC). He reinvaded Egypt with a Kushite army, captured Memphis and attacked the Delta. After he killed Necho I in battle, the Delta vassals recognized him as King of Egypt, while Psammetichus fled to Assyria. Within a year (ca. 663 BC), the Assyrians returned to quell this rebellion. 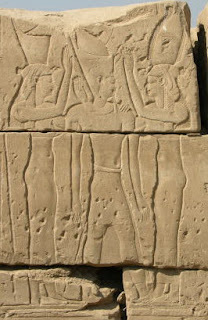 Tanwetamani was quickly defeated, and he withdrew to Thebes. The Assyrians followed once again, whereupon he withdrew to Napata. In retribution, the Assyrians burned and sacked Thebes.